If a piece is every lost, broken, or disabled by a house pet, Chess House can easily help you receive a replacement part even years later. 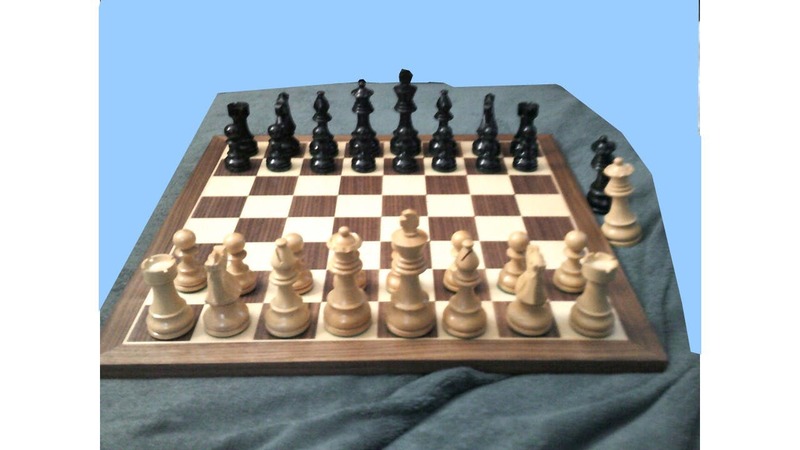 See chessboard options for recommended styles we have paired and photographed for your convenience. Very nice wooden chess pieces! Beautiful, with a nice solid feel and weight in the hand when moving. Makes a sweet 'thud' after a move on a wooden board. Personally, I love the contrast of the black pieces against the walnut/boxwood squares. The photo shows the pieces paired with a 16" board, which aren't crowded, although most recommend a 19" board for pieces this size. Everything I've ordered from The Chess House is fantastic, and the customer service is without equal.